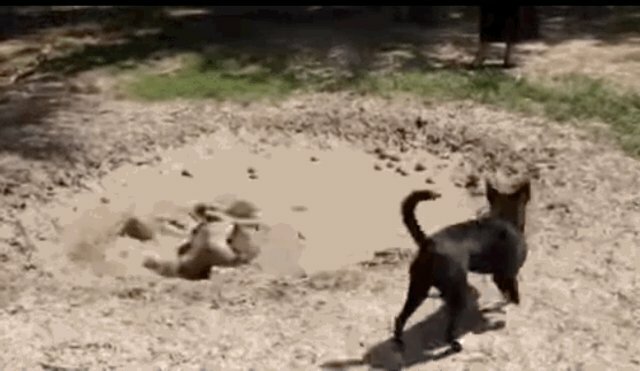 Brego the pit bull discovered a mud puddle and knew that he absolutely had to go for it. 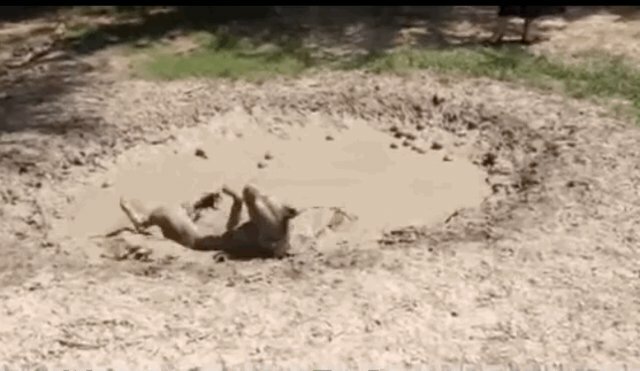 He had to roll in it, and he had to relish its existence. After all, how often does one stumble across such a fantastic, well-proportioned mud puddle? Even his fellow pup-friend couldn't work up the gumption to conquer the muddy puddle with the same fervor and zeal as Brego. Here's hoping that everyone had an awesome Pit Bull Week and has an even more awesome weekend!